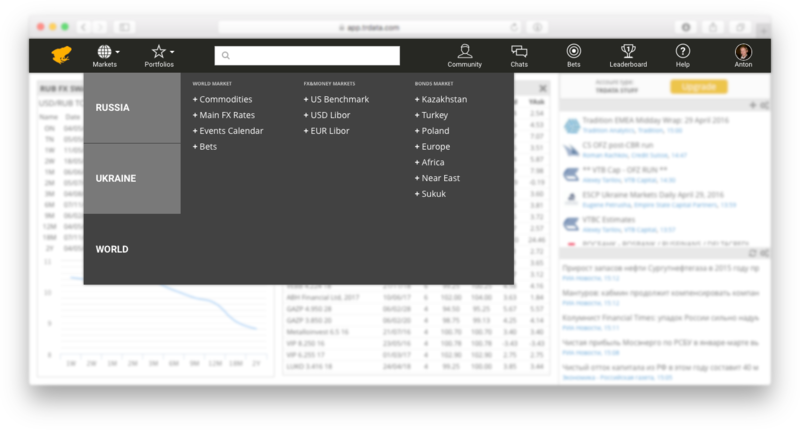 In the upper panel, you have convenient access to information on markets and your own custom portfolios. Click on the Markets tab to view instruments and tools aggregated by market. Save instruments that are of special interest to you under the Portfolios tab. 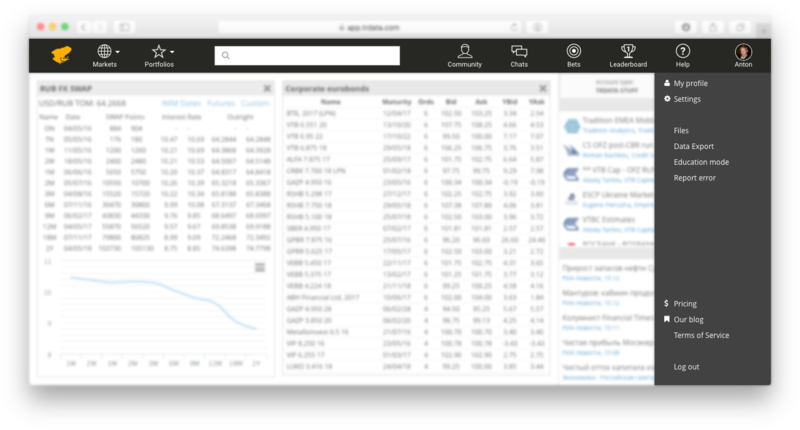 You can also view and search for users and companies under the Communities tab at the top, message users through the Chats function, place bets on key rates and currency rates in the Bets widget, view the most active users through the Leaderboard, and use the Help function to contact IT support. Clicking on your name in the upper right corner of the panel will open up an additional menu, from which you can view your profile, adjust settings, view terms of service, etc. Have any questions or comments about the new interface or would like to find out what additional features you can unlock with our upgraded packages? Contact us at: info@trdata.com. See you on the platform!